Right after the failed coup d’etat in Turkey in July 2016, I published a two-part analysis series on what I thought would happen in Turkey, taking into account their national financial situation. My analysis of the Turkish situation was of course largely opposed to the views of mainstream analysts including the ones working with the big Swedish banks – as is usually the case in matters of predicting economic and financial developments, the masses (including institutional “dumb money”) must lose for us profitable traders to win. There’s also the matter of a private independent analyst being able to afford different and perhaps not-so-popular analysis conclusions. Since I wrote the analyses in Swedish, and on my private Facebook wall (I might add links to them later), I have translated them and reworked parts of the language structure slightly. “Most people only look at the GDP YoY numbers when they try to determine the economic development and trend of a nation. But GDP and GDP YoY numbers are insufficient to give a proper picture – one must also take outstanding credit into account. When we examine Turkey, we find that most of the GDP increase up to the top in 2013 has been driven by a rapidly increasing private debt amongst consumers and corporations alike. Especially during 2014 and 2015, the debt levels rose dramatically – even as Turkish GDP actually shrank during these years, which is a very, very bad sign as it means that GDP didn’t even expand on par with the increase in circulating credit (which means monetary velocity net decreased despite the credit tsunami!). 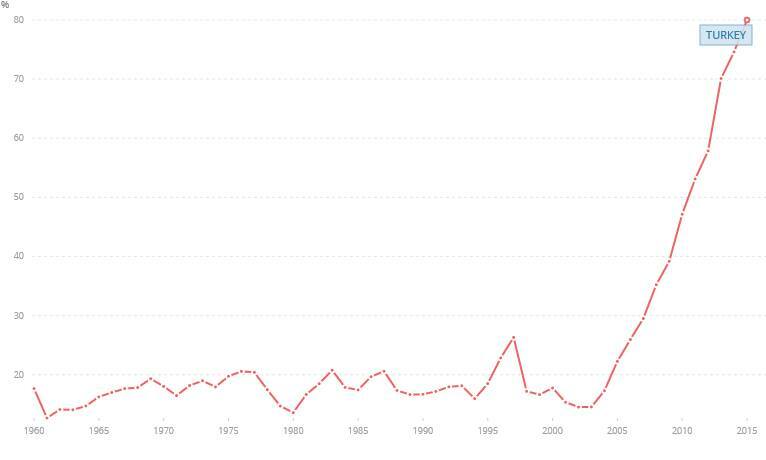 Picture 01 – GDP of Turkey from the 1960’s to 2016. Picture 02 – Turkish Private-Debt-to-GDP from the 1960’s to 2016. The Turkish government bonds yield between 7.75% – 8.75% . Turkey has [as of 2016] a government debt-to-GDP of a relatively low 41% of GDP, but because of the higher interest rates, their government debt encumbers the Turkish economy 3.5-4 times more than how Sweden [I used Sweden as comparison here, because that’s where I live] is impacted by its significant national debt. 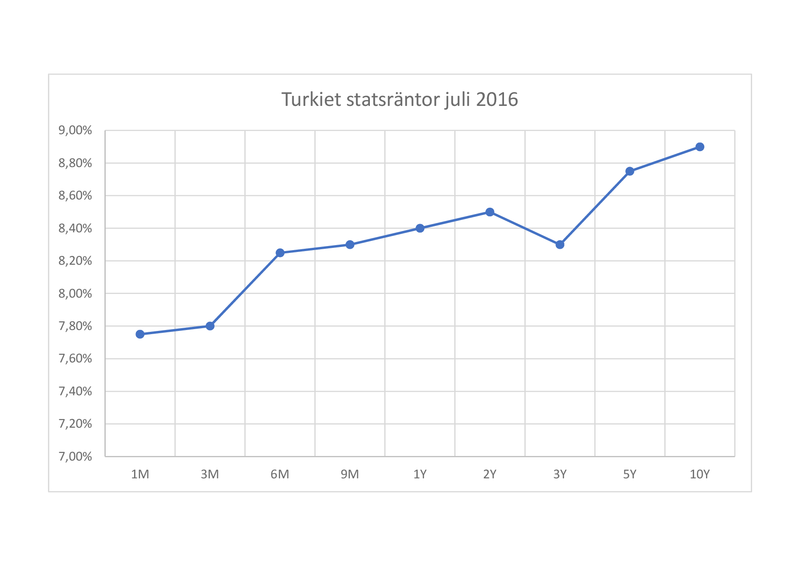 Picture 03 – Turkish government yield curve July 2016. Anyone honestly claiming that Erdogan has been good for the Turkish economy must be unaware of the importance of adjusting GDP numbers by the simultaneous credit expansion, which is necessary to determine if the economy is actually making progress or not. Anyone can open the credit spigots and inflate the currency supply and hence cause a (likely) GDP expansion – but unless GDP expands at an at least 1:1 relationship to credit, the economy has actually contracted. Of course, Erdogan is not to be singled out here – almost all Western politicians and governments are similarly expanding the debt load in order to try and get positive GDP prints, which is very dangerous in the long run, not to mention abjectly stupid, deceptive and arguably criminal (since greater taxation plus inflation robs the taxpayers even more, while the parasitic politicians live the high life). GDP can of course be adjusted for more than just the rate of credit expansion/contraction, but it is one of the most important adjustments there is, as it reveals more about potential inflation/deflation than biased government “assessments” of the so-called “GDP deflator”, which relies on government-calculated (and hence inaccurate or outright false) inflation estimates. Erdogan’s GDP increases have been driven solely by a massive private debt expansion, and this private debt expansion boom has now entered a parabolic phase, at the same time that GDP has stopped expanding and has instead started to contract, despite the massive increase in debt. Turkey has a hard time selling government debt obligations to foreign buyers. The interest rates are high, and the buyers are relatively few. The instability brought about by the attempted coup d’etat will serve to further decrease foreign interest in lending money to Turkish-based companies. In this situation, Erdogan probably only has a few choices if he wants to continue driving up nominal GDP, and one of them is to attempt to force Turkish banks to emit more credits (which will entail looser lending criteria and forced lower interest rates). The effect of this will be a decrease in the Turkish Lira (TRY). 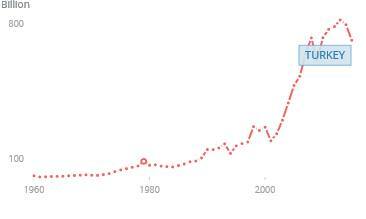 Hyperinflation, that is. Hyperinflation will also arise if the Turkish state attempts to start its own QE (Quantitative Easing) and through its central bank starts to buy its own Turkish government bonds to self-finance. Most countries cannot do so unpunished for long, especially not an instable Turkey with significant internal contradictions. The financial markets will punish the Turkish curreny Lira severely. What could counteract this scenario? Perhaps that Erdogan stops acting more-or-less like a dictator, which might increase foreign confidence in the Turkish economy and currency and business sector. Alternatively, that Erdogan lets the Turkish economy contract and suffer hardship without further interference. But this would entail Erdogan taking down his own strongman image a few notches, which would serve to decrease his powerbase. As it turned out, my predictions for Turkey and the Turkish Lira (TRY) were correct. USD/TRY went from approximately 3 in July 2016, to about 7.2 at the peak in August 2018.